As I prepare to bid farewell to my beloved city of Boston, it was time to walk the Freedom Trail one more time. 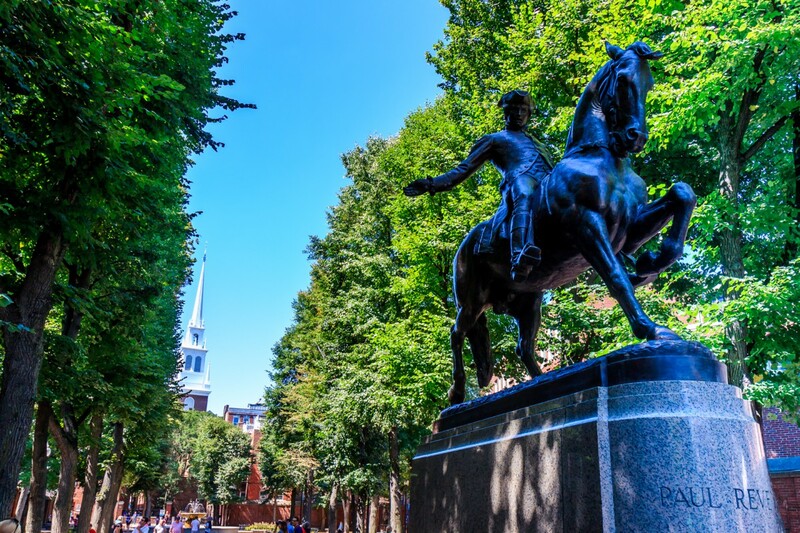 This short walk is the number one thing for visitors to do in Boston, and takes you by many historical sites related to the American Revolution. This is one of the first things I did when I moved here six years ago. Over the years I’ve walked by the sites many times as part of my daily commute. But I never did the whole walk with my new camera lenses. So this was a good chance to try them out. The walk begins on the Boston’s Central Park, Boston Common. There’s only one Boston Common, so don’t call it Boston Commons. The Boston Common is much smaller than Central Park, but it’s also much older. 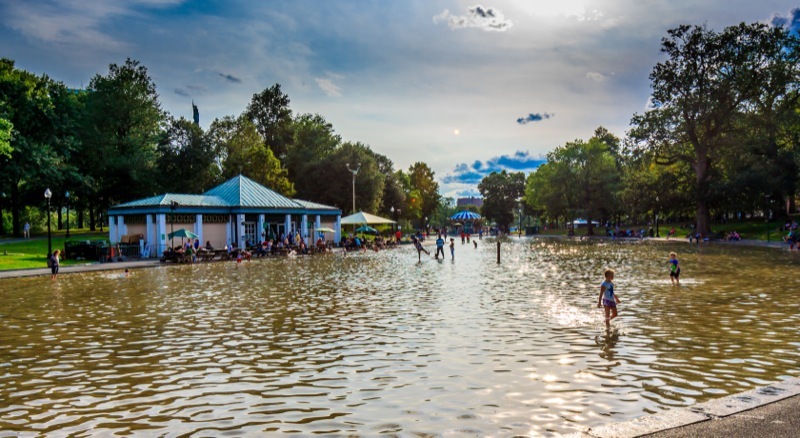 It’s the oldest city park in the Untied States. It’s also a nice place to spend an afternoon reading. 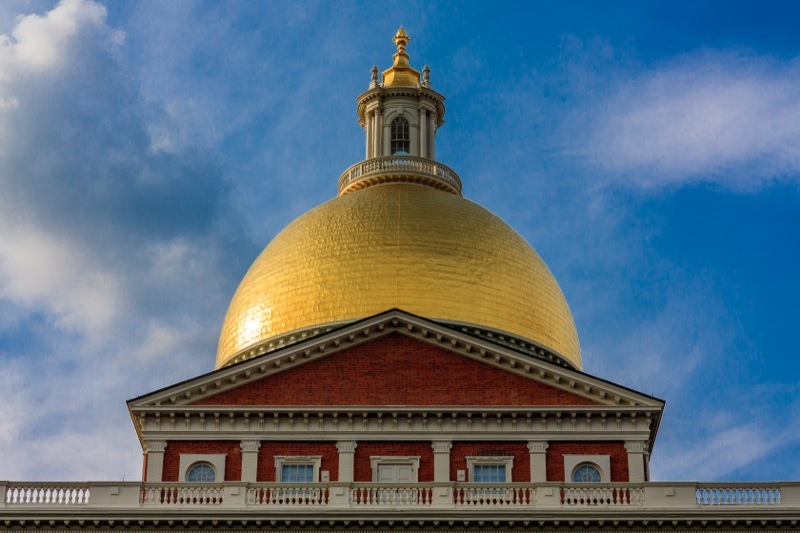 But I was on the move today, so I headed up Beacon Hill to the corner of the park across from the Massachusetts State house, with its impressive Golden Dome. 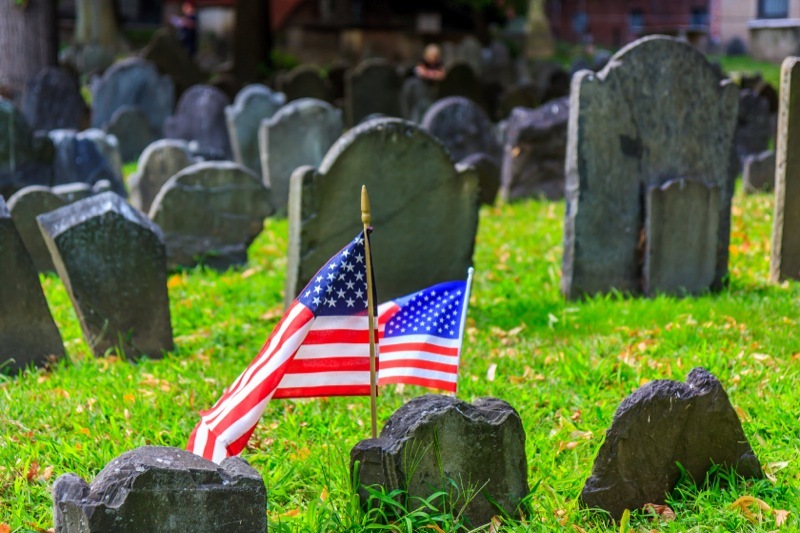 The Common has its own cemetery, the Central Burying Ground. Benjamin Franklin has a big obelisk here. A short walk too me to Washington Street and my old neighborhood of Downtown Crossing. Here there is an interesting Irish Potato Famine Memorial. There are two groups of statues, one well fed, and one starving. This was to represent the class structure in Ireland during the Famine. Across the street is the Old South Meeting House, in austere colonial style. This is where the Boston Tea Party was organized. Looking down Washington street, much development is evident. 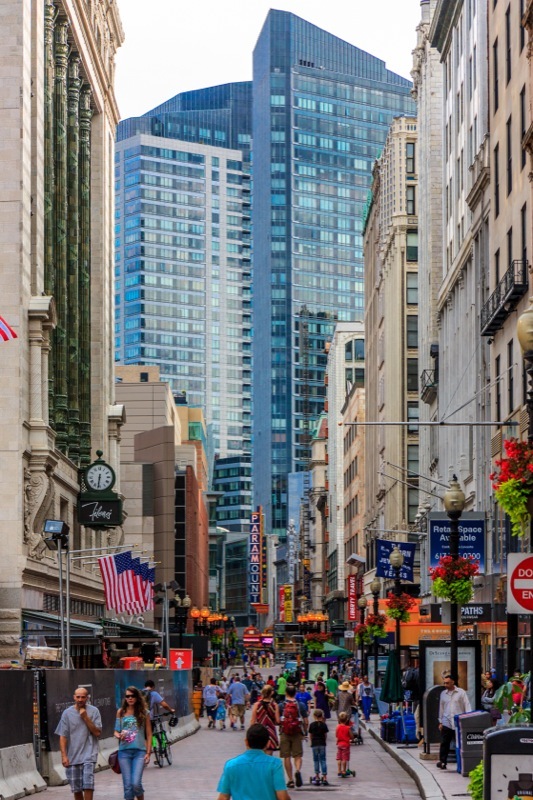 Downtown Crossing is Boston’s grittiest neighborhood, but things are changing fast. I often wonder if I would have made money if I would have kept my condo here. 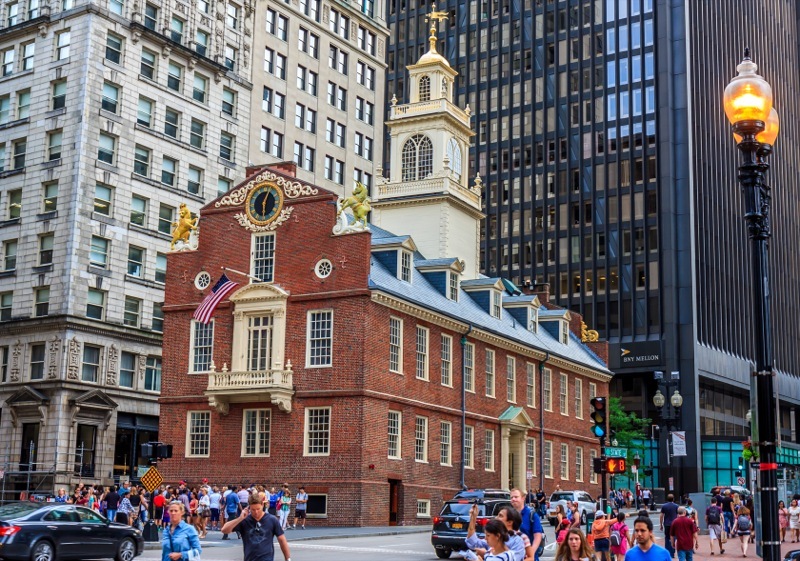 At the end of Washington street is the Old State House. It was here the Declaration of Independence was read from a balcony to the crowds. In the 1880s this building was going to be demolished. Thankfully, it was saved. Now it is a small museum and the State Street T station, and sits among modern buildings. 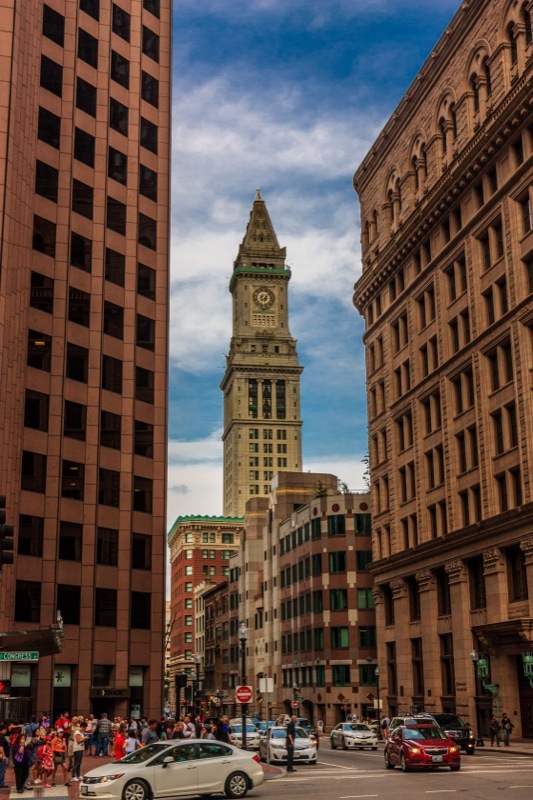 The Custom House Tower is visible down the street. 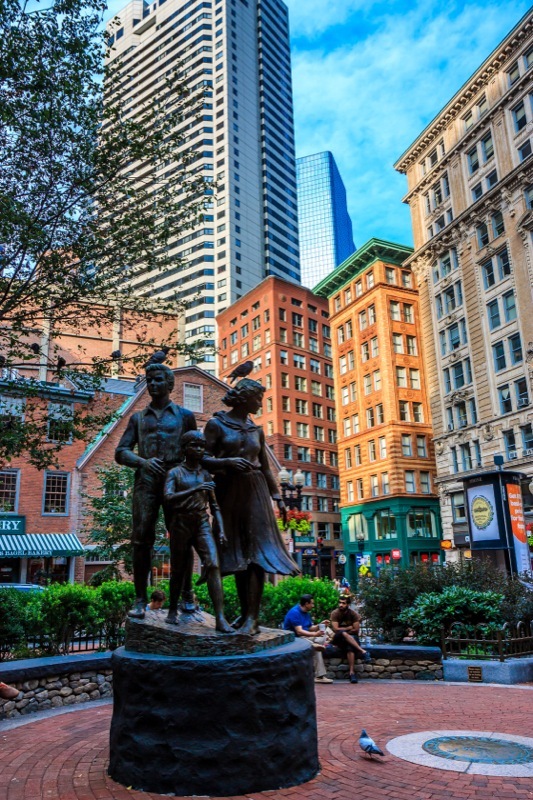 It was the tallest building in Boston until 1964, when the Prudential Tower overtook it. Now it is a timeshare resort. 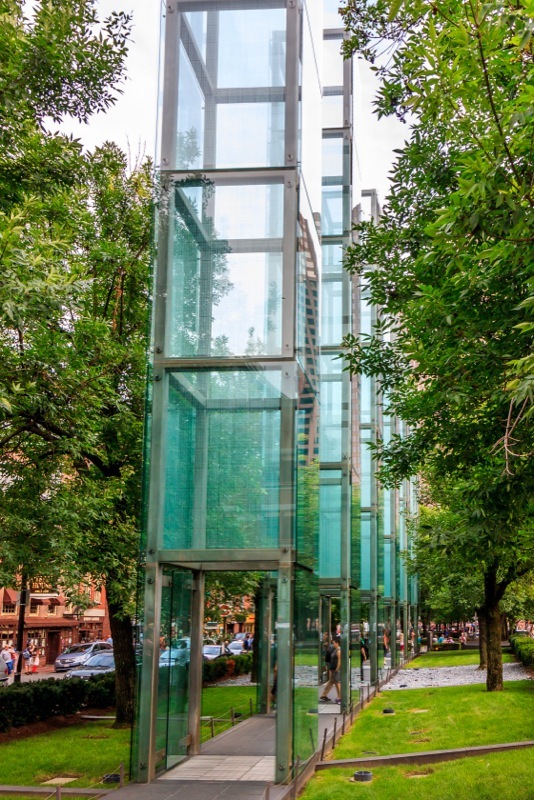 Past Faneuil Hall, Quincy Market, and all the street performers and crowds of tourists are six striking glass towers of the Holocaust Memorial. 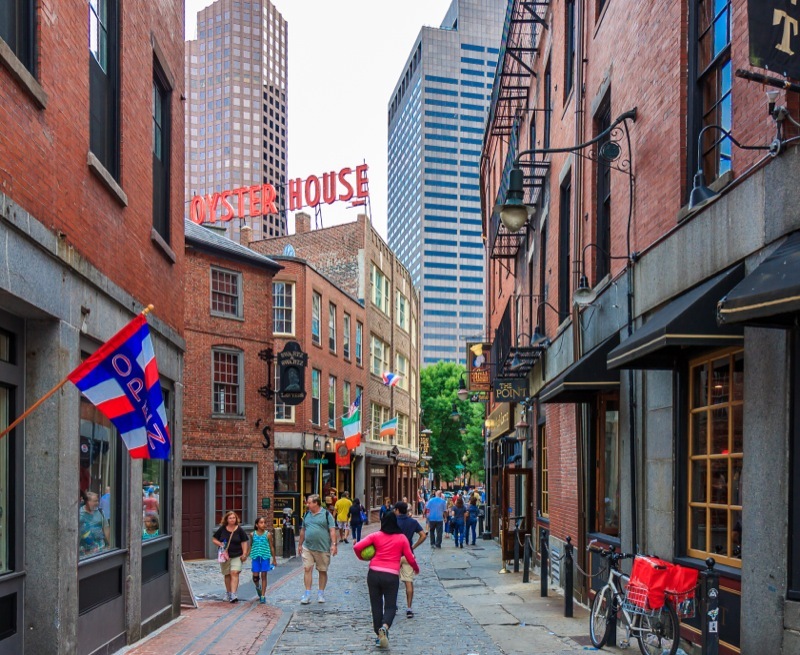 An interesting side street around here has many pubs climbing to be the oldest in America. Union Oyster House is here and is worth a visit. 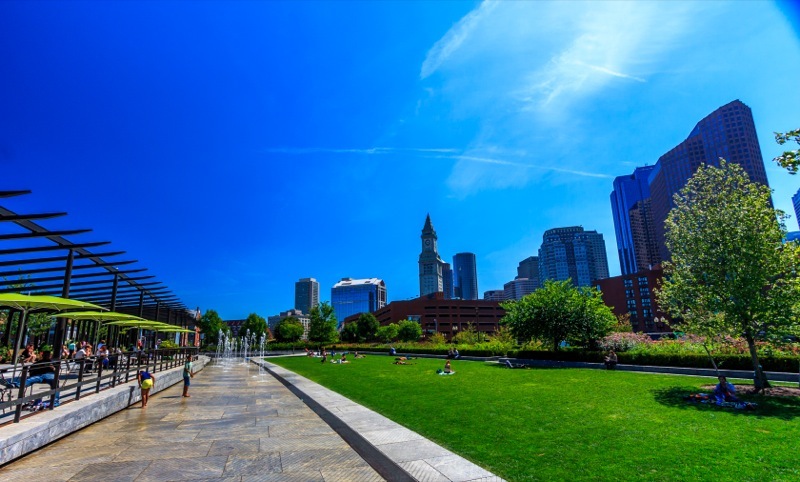 Crossing the street, the new Rose Fitzgerald Kennedy Greenway is a great place to have lunch or just relax. This used to be the elevated Central Artery, but the Big Dig buried that and replaced it with a string of parks. At first the parks were empty, but now they are filling up with art and people. 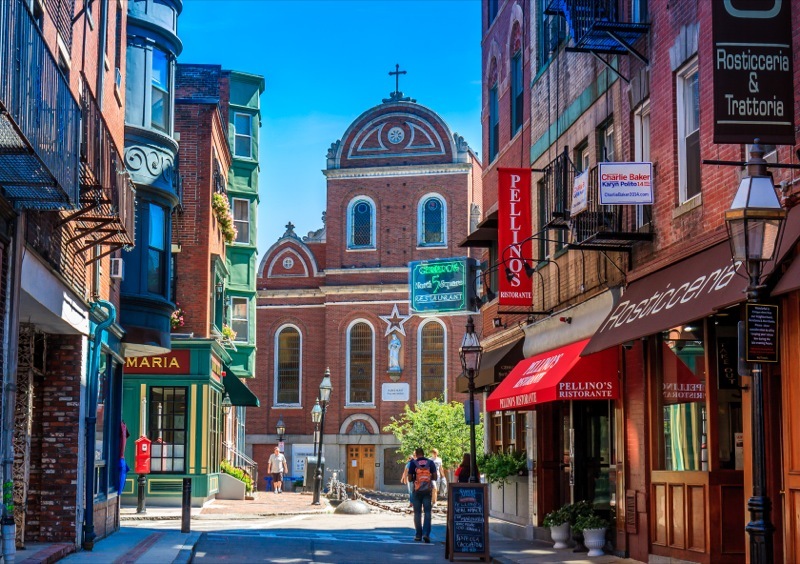 Across the road is the North End, Boston’s Little Italy. 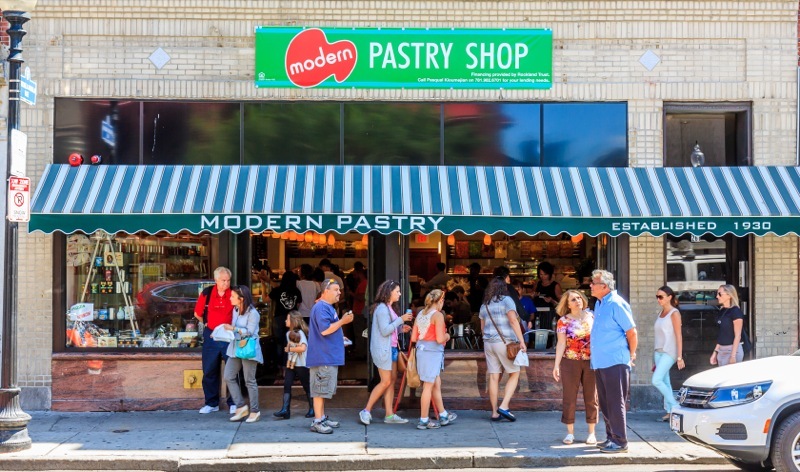 The thing to do here is eat cannoli from either Mike’s or Modern Pastry. There is always a line, but it’s worth the wait. It’s fun to try to get lost here. It’s impossible, since the neighborhood is so tiny, but every time I wander here I see something new. 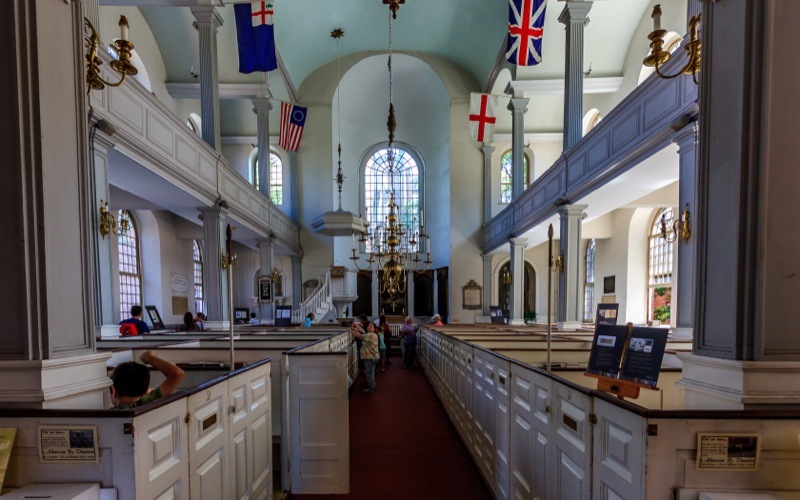 The major site is the Old North Church, where Paul Revere started his ride. After crossing a bridge, the next stop is the Navy Yard in Charlestown. 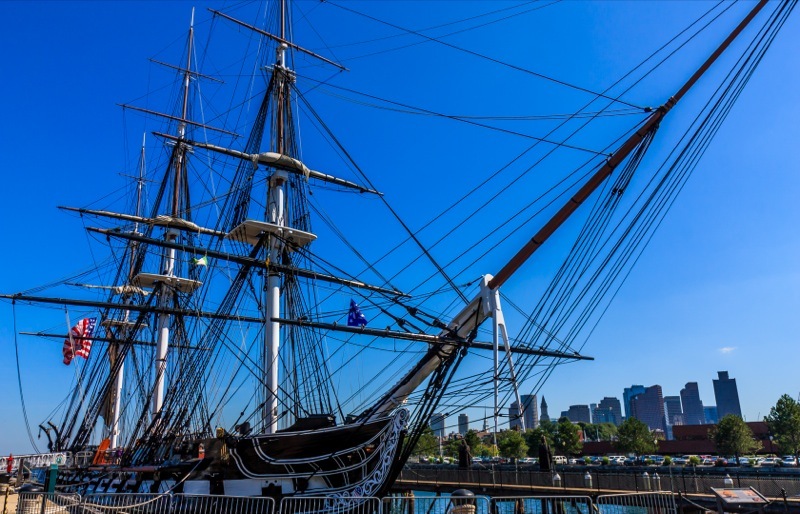 Here you can climb around in the USS Constitution, aka Old Ironsides, which is the worlds oldest commissioned warship. Also at the Navy Yard is a more modern World War II destroyer. Wandering the historic streets of Charlestown is also fun. 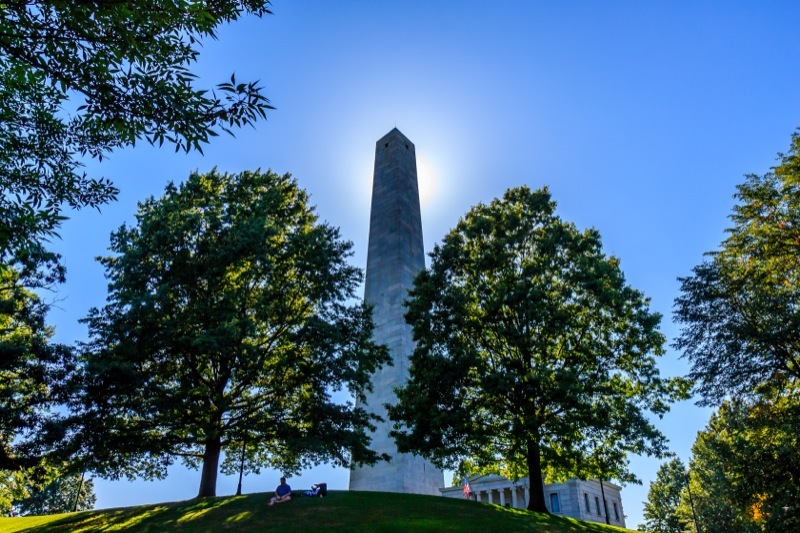 At the end of the trail is the Bunker Hill Monument, commemorating the Battle of Bunker Hill. 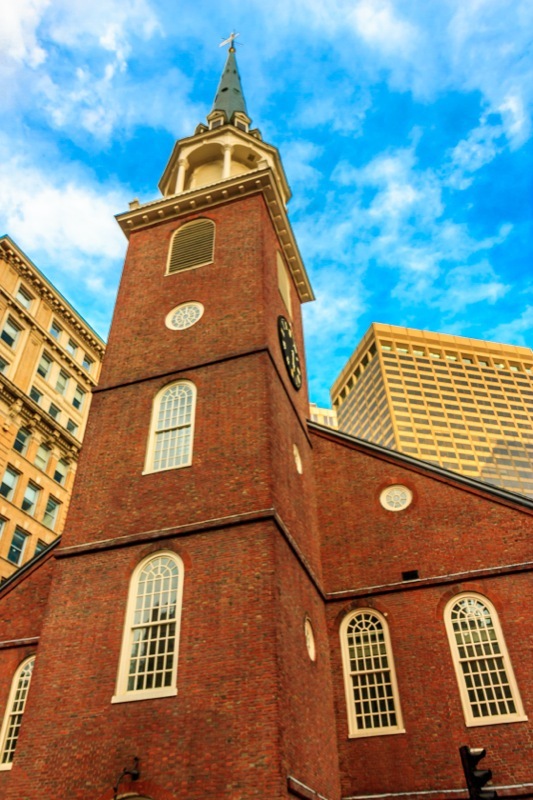 The Freedom Trail is a nice way to spend half a day in Boston. But there’s more to see. I’m trying to see as much as I can in my last days here.